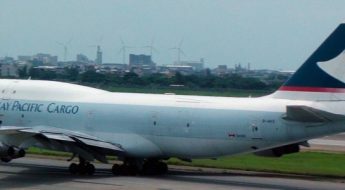 The Greater Toronto Airport Authority (GTAA) reports its benefits include safer docking in poor weather, pre-positioning of passenger boarding bridges (PBB), and support for Airport Collaborative Decision Making (A-CDM), an operating model focused on aircraft turnaround processes with benefits for airlines and the airport. Pearson has been using an earlier version of the ADB SAFEGATE system since 1997 but wanted to upgrade. 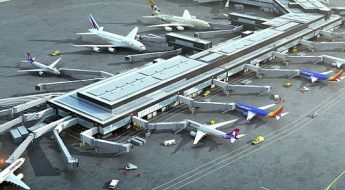 To that end, it has installed the Safedock T1 in phases since December 2017 and installation and commissioning to replace the existing system was anticipated as Airports International went to press. The A-VDGS informs the pilot to ‘continue taxiing in, and steer left’. The main purpose of an A-VDGS is to provide active guidance to pilots moving an aircraft to the correct stop position at gates. It is achieved by a three-dimensional laser system and display that is typically mounted on the terminal wall, or a pole at the gate. The Safedock system tells the pilot, via the display, whether they need to steer left or right to stay on the centreline as they taxi up to the gate. A centreline is a predetermined approach line to a parking stand, shaped and positioned so an aircraft of a given size can taxi in and fit safely at the gate; different aircraft types require different centrelines. The Safedock T1 has a wider scanning angle than the older system, so a single unit can be used to monitor more than one aircraft centreline. Nevertheless, more than one Safedock T1 unit may be required at some gates to cover all the centrelines they have. 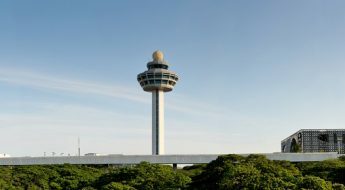 The airport will be using the Safedock T1 in conjunction with an ADB SAFEGATE system called SafeControl Apron Management System, or SAM. It integrates the A-VDGS with other external systems at the airport and the gate. 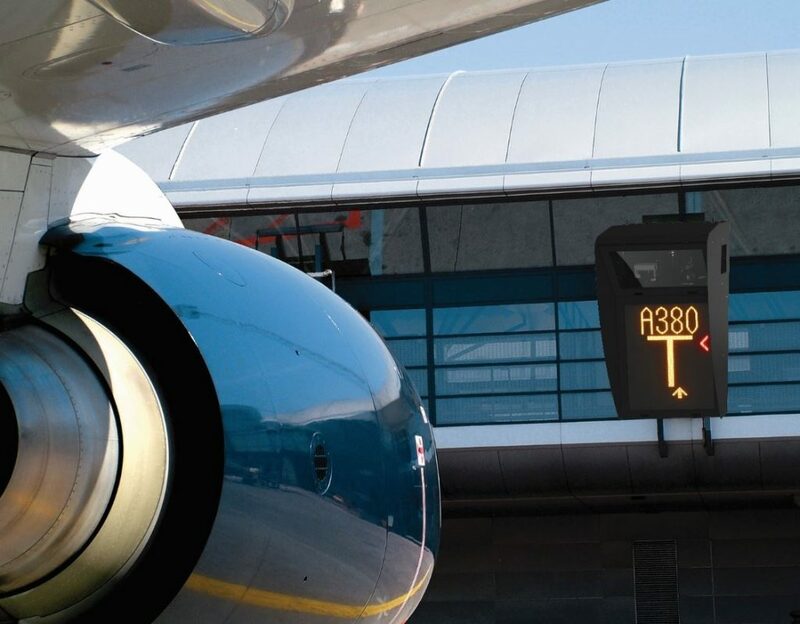 A pilot is judged to be able to see the Safedock T1 display from a maximum distance of 591ft (180m), or 525ft (160m) in low visibility conditions. The digital laser begins picking up an approaching aircraft when it is 213ft (65m) out. The Safedock T1 units are pre-programmed to identify different aircraft types and stop them at the assigned stop positions. Its aircraft database contains all known commercial aircraft types of FAA group II and higher (ICAO code B). Once the Safedock T1 picks up and identifies the aircraft, the horizontal scan lets the system track the position of the aircraft in relation to the appropriate centreline, and determines the correct stop position to an accuracy of 4in (10cm); the correct stop position is programmed into the A-VDGS so that the aircraft will, for example, line up correctly with the passenger boarding bridge (PBB). Several things are happening as the A-VDGS guides the aircraft in. It scans the apron area to detect obstacles that may pose a hazard and, if detected, the pilot will see the words APRON BLOCK on the display which shows the approximate position of the obstacle. The minimum detectable object size in the primary area scanned is 1.6 x 1.6ft (0.5 x 0.5m). In the secondary area, the minimum detectable object size is 4.9 x 4.9ft (1.5 x 1.5m). The display can tell the pilot to wait if the system is not able to correctly identify the aircraft and tell the pilot to slow down if the approach is too fast. If an aircraft is to the left or right of the centreline, red chevrons appear on the display to tell the pilot to steer right or left and back on the centreline. A yellow arrow tells the pilot to continue taxiing in, and a closing rate bar (think of a ‘T’ with an ever- shortening vertical segment) shows how close the pilot is to the stop position. The sequence ends when the display tells the pilot to STOP. The A-VDGS informs the pilot to ‘continue taxiing in, and steer left’. Meanwhile, the Safedock T1 will be interlocked with the PBBs ensuring the bridges are in a safe position to dock the aircraft. 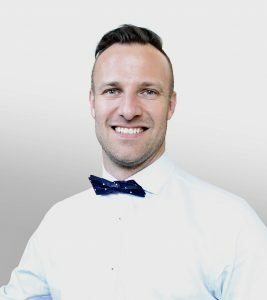 Mr. Andersson explained: “The standard PBB interlock feature requires that the PBB has the capability to share its location status and send a signal to the Safedock system to confirm the bridge is in its safe/parked position and that the docking process may commence. An incorrect PBB position will result in a WAIT/BRIDGE IN message on the Safedock display. Docking will commence when the PBB has been returned to the safe area. Safedock provides a ‘docking in progress’ signal which can be used by the PBB to lock its operations during docking. “In a more advanced PBB integration option, the Safedock can send the PBB information on the docking status, current selected aircraft type, flight number and centreline. When the aircraft is parked, the Safedock will send detailed information about the actual stop position of the aircraft to enable auto-drive functions. This capability depends on the level of technology available with the boarding bridge. 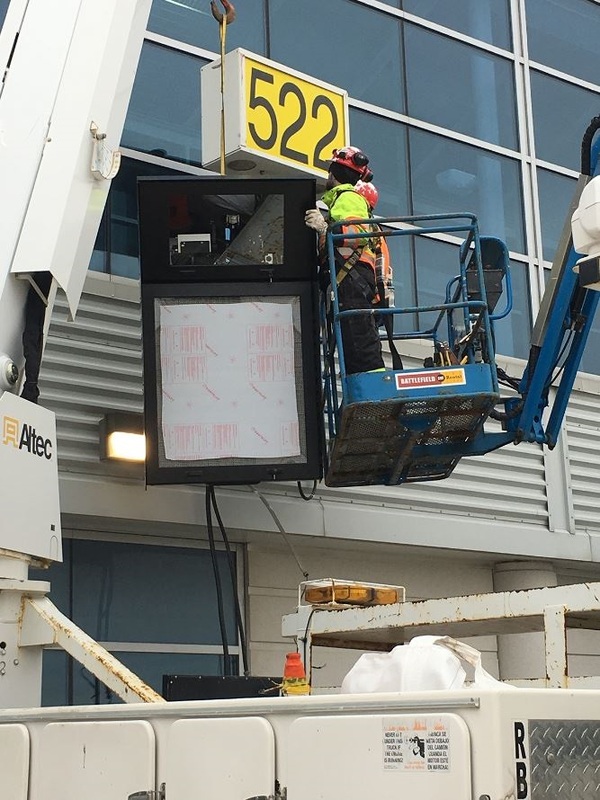 Other features cited by the GTAA to improve safety and efficiency include internal cameras integrated with the airport’s closed-circuit television system. They will enhance security and situational awareness in the apron area and provide information and feedback during incidents. Another is an option to integrate with ground support equipment, such as ground power units and pre-conditioned air, to provide equipment status and track turn milestones. The SAM will communicate with the existing systems already in place at Pearson, such as flight information, lightning warning and collaborative decision-making systems. An A-VDGS display cabinet is installed at a Pearson airport gate. The GTAA also wants to use A-VDGS to help streamline the entire airport’s operations. Integrating it with other systems and equipment through SAM will support A-CDM, allowing for automatic sharing of flight information, gate status and turnaround milestones in real-time with all stakeholders. 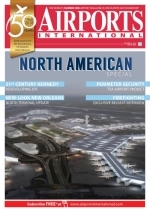 This article is written by Carroll McCormick and originally published on Airports International, the world’s number one Airport magazine in terms of circulation and readership. It´sis published on the ADB SAFEGATE blog with permission.